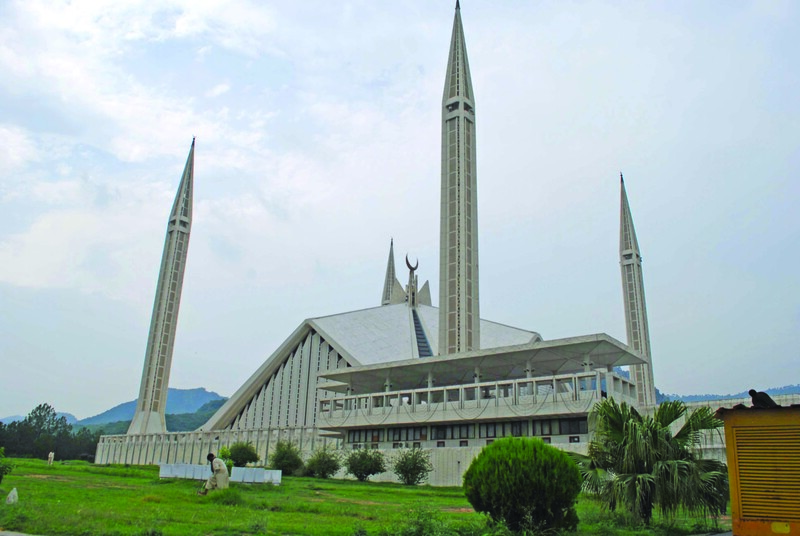 Each city has an architectural icon: Shah Faisal mosque is Islamabad’s. Featured in almost every televised version of the azaan since 1986, the mosque evokes Islamabad more than the Parliament, the Supreme Court and the Presidency put together. This is also why it is a popular location with broadcast reporters. A mosque like no other… Nestled in the foothills of the Margallas, the mosque was designed by the Turkish architect, Vedat Dalokay. Strikingly, the mosque lacks the kind of architecture defined as ‘Islamic’: it doesn’t have domes or arches. 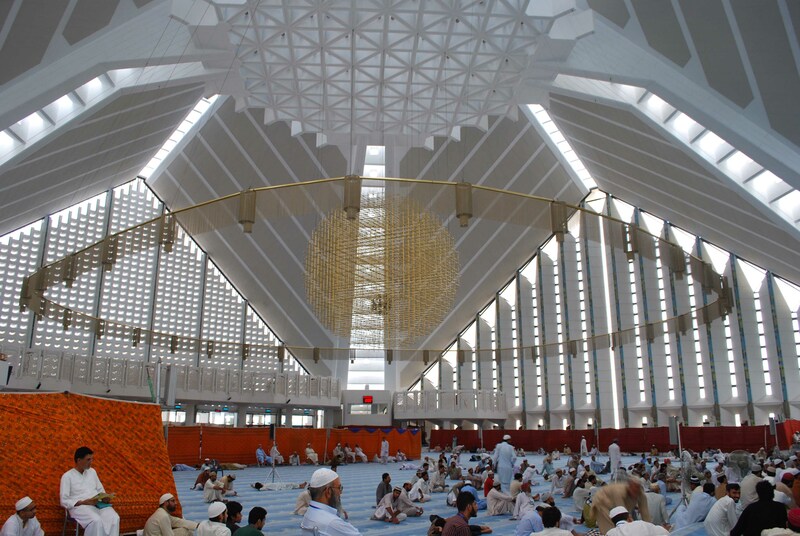 Instead, the eight-faced concrete shell resembles a Bedouin tent, flanked by four minarets. Dalokay subsequently said that the design was inspired by the cubic Kaaba, whereby the apex of each of the minarets represents the corners of an imaginary cube.